I never read the book but after watching the movie, I want to read it now. This is the best movie I have seen this year. The story, the acting and the visual presentation of each frame captured this gut wrenching and honest perspective of African American maid experience of Jim Crow Mississippi. It stirs your emotions and allows you as a viewer to join the characters in this journey that is still with you many hours after you left the movie theater. I have not been this move this much in a long while. 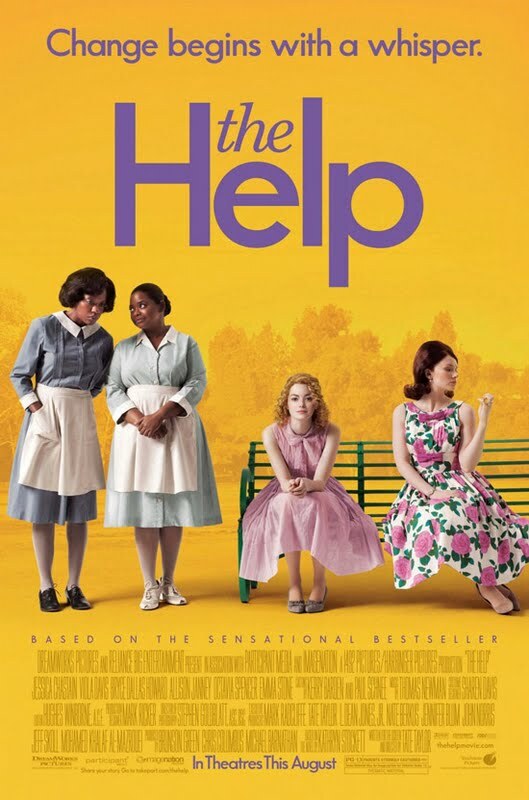 The help focuses on an independent young white southern young women who is aspiring to be a journalist and author. She is independent and free thinking and she decides to write a book containing the viewpoints of the African American maids concerning their white employers. It opens a door to the very human stories of people treated less than human in a very racist society. 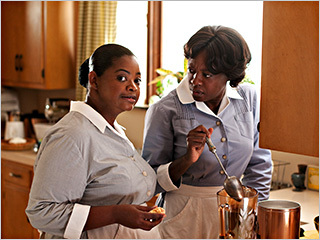 It also shows the strength of these women through their eyes , especially from the viewpoint of the two lead actresses Viola Davis who plays Aibileen Clark and Octavia Spencer who plays Minny Jackson. Viola and Octavia are absolutely masterful in their performances and deserve Oscar nods and all the awards and accolades given actors. They were brilliant. The other cast members also delivered memorable performances. Notable among them were Emma Stone as Skeeter, Bryce Dallas Howard as Hilli, Allison Janney as Charlotte, Jessica Chastain as Celia, Sissy Spacek as Miss Walters, and Cicely Tyson as Constantine Jefferson. Tate Taylor who directed the film also wrote the screenplay. I have to credit him for making a movie as rich as it was in plot and story especially since I know the book must have even had more depth that cannot be captured on film. However, standing alone the film is so above the rest in quality and genius. Watch the film and enjoy what makes movies a true art form. I agree– a great flick!